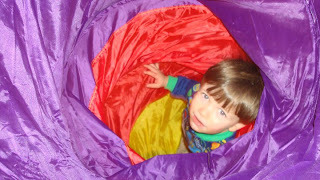 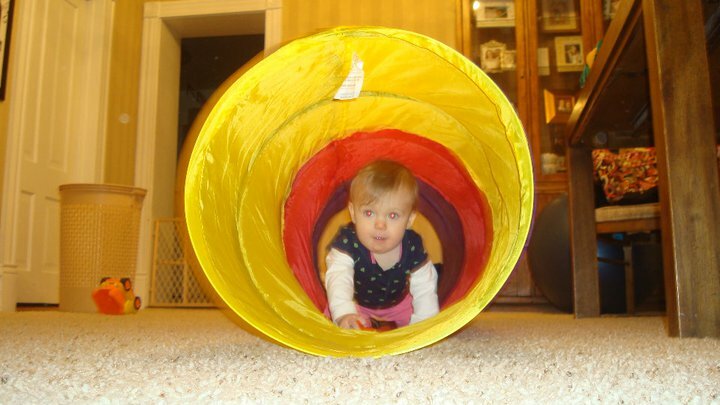 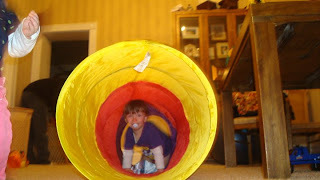 For Christmas Caderyn got a little play tent with a tunnel attached. 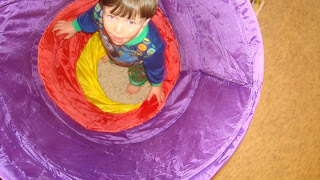 We set it up a couple weekends ago and oh boy, did he have a blast. Get me out of this tunnel! 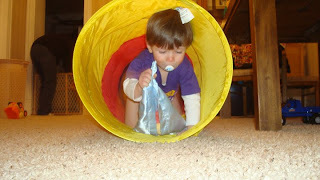 Playing with his "lady friend"
Go towards the light Caderyn!